If you are a veteran or the spouse of a veteran, you may be eligible for a V.A. pension at no cost to you. There are more than 2 million veterans and spouses who qualify for this benefit nationwide. These benefits can substantially reduce the cost of long-term care. Many aging servicemen and women (and their spouses) are astonished, and happily so, to discover that an eligible veteran can often receive reimbursement for up to 60% of the unreimbursed costs of long-term care, and a surviving spouse can often receive up to a 35% reimbursement. 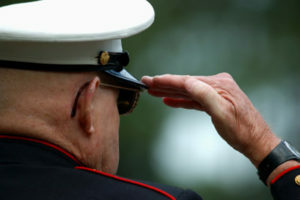 The Aid and Attendance allowance is a wartime veteran’s benefit that varies depending upon need, existing financial resources and whether the veteran is single, married or widowed. The veteran does not have to have been on the front lines of battle, but in the service during a wartime event, with an honorable discharge. The veteran and their spouses may be eligible for the Aid and Attendance Allowance, available through Compensation and Pension Programs. There are many organizations that help veterans and their families to access these funds. Please be careful, as there are many who are disreputable and are to be avoided. For an official list of accredited Veterans Service Organizations, go to www.va.gov/ogc/recognizedvsos.asp. We can help you with recommendations of reputable, local organizations that have helped our residents to achieve this significant financial assistance.